San Diego State announced Tuesday that the dean of the university’s College of Education will serve as interim provost while the university searches for a permanent replacement for its previous provost, who resigned suddenly and without explanation nearly two weeks ago. SDSU’s new president, Adela de la Torre, who is set to take office later this month, asked College of Education Dean Joseph F. Johnson to fill the provost position for at least a year or longer while the search continues, according to a statement from the university. “Dr. Johnson has a stellar track record in higher education and is clearly dedicated to promoting faculty support and success while advancing shared governance,” de la Torre said in the statement. “I look forward to working alongside president-designate de la Torre as we journey into this new chapter in SDSU history,” he said. While in his new position, Johnson will continue his work with the National Center for Urban School Transformation, where he studies ways to help students succeed in struggling K-12 schools, the university said. 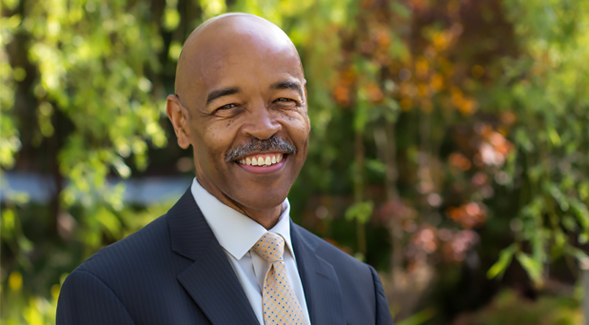 Former provost Chukuka S. Enwemeka stepped down May 23, nearly four years after he first took the job. The university at the time declined to give a reason for his resignation. However, Enwemeka had been the subject of an early performance review two months prior, according to the San Diego Union-Tribune and The Daily Aztec. His review was mostly positive, but some faculty were concerned about an email the provost had sent to a professor who called for the early review, the Union-Tribune reported. “All said, if in the course of our time and interactions, I willfully sought to harm or perpetrate evil against you, may my Lord Jesus Christ, to whom I have given my entire life, see your action as well deserved by me …” Enwemeka said in a Sept. 11, 2017, email to biology professor Douglas Deutschman. The performance review did not reference the email and said Enwemeka made a positive impact in graduation rates, fundraising and faculty recruitment, though it did recommend he do a better job communicating with the campus community and responding to time-sensitive issues. Current SDSU President Sally Roush thanked him for his service to the university when his resignation was publicly announced.